The need for farm and agricultural buildings, sheds, and storage expectations often vary from basic protection from the weather to more demanding environmental control of temperature and humidity. 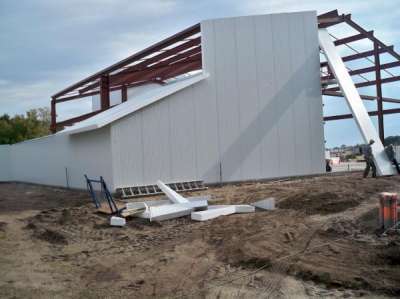 Coolstructures structural insulated metal panel designs are an ideal option in the majority scenarios involving agricultural buildings. Coolstructures SIPs offer high thermal insulation properties that support green building objectives, while providing structural integrity that can minimize the need for the extensive internal steel framework required for a Butler or Morton Building. The modern farm building should be an environmentally efficient, clear-span structure with good access to plenty of usable storage space. Versatility within non-ambient weather conditions, whether cold or hot, is increasingly a requirement since maintenance on equipment, habitable workshops, dry storage of perishables, increasing energy costs, and so forth can be requisites. Gone are the days when it was cost-effective to inefficiently heat an uninsulated Morton Building with a propane or kerosene blast heater. Now it is rather possible to cost-effectively (with the same BTU input) to maintain comfortable temperatures within a large Insulated Metal Building built from Coolstructures structural insulated panels. 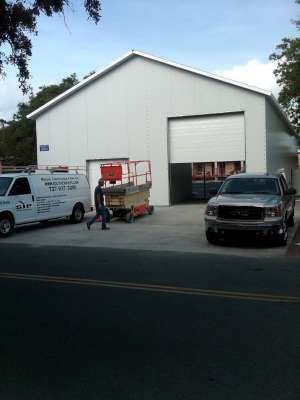 One of Coolstructures greatest strengths is our ability to create an attractive insulated metal building that is unmatched in performance, style, and layout. No matter what type of insulated building you imagine, Coolstructures can help develop a concept that is uniquely yours. 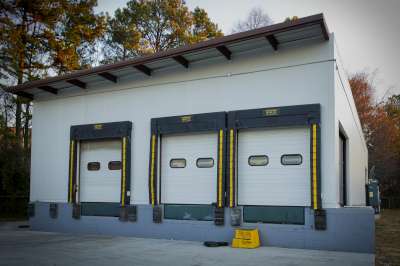 Coolstructures structural insulated panels offer classic style and easy solutions - - whether storage sheds, equipment buildings, or steel barns. Our affordable SIP product line meets our customers’ most essential modular construction needs — even if only a general-purpose garage is required.